Local Guide: Kempsville - Rose & Womble Realty Co. Historic and modern, in flux and established, suburban and scenic; the Kempsville area is an evolving and dynamic ward in the City of Virginia Beach. George Kempe purchased land along the Eastern Branch of the Elizabeth River around 1652 and established a tobacco port. That area prospered into a small community known as Kemp’s Landing (sometimes spelled Kempe’s Landing) that attracted the Princess Anne County Courthouse, which sat in Kempsville from 1778 to 1824. Incorporated as the “Town of Kempsville” in 1783, it was absorbed into the City of Virginia Beach in 1963. Today, it is one of the seven districts of Virginia Beach City Council. However, Kempsville is more than just some bureaucratic lines on a map; it is a distinct hamlet plump with cuisines, entertainment, and outdoor recreation. Local restaurants with worldly pallets pepper the neighborhoods with delicious ethnic foods. Papa’s Greek Restaurant & Pizzeria in Kempsriver Shopping Center is a delicious option for lamb gyro sandwiches, Greek-style pizza, and other Mediterranean fare. 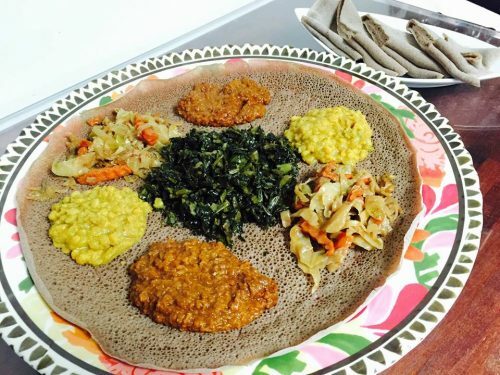 The Mesob Cafe on Parliament Drive is the only Ethiopian and Eritrean restaurant in Hampton Roads according to their website, and has a healthy selection of vegan entrees and authentic North African dishes on their menu. Just a couple miles away, on Princess Anne Road, you will find Aloha Hawaiian BBQ. This cute little spot, decorated like a traditional Hawaiian hut, has an array of dishes, both spicy and sweet, with rich and distinct Asian-Pacific flavors. The Hawaiian Chicken Ono Curry dish, which is a soup-like mixture of chicken, diced potatoes, pineapple chunks, onions and roasted peanuts smothered in a spicy coconut curry cream sauce, will change your life for the better. 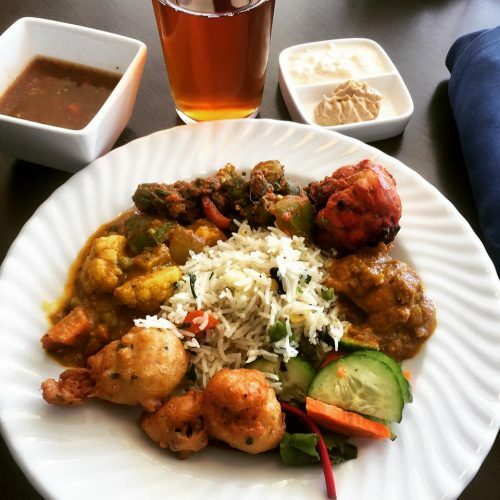 If Indian food is more your taste, Coastal Spice in Fairfield Shopping Center is the best option in town. The menu is full of vegetarian and vegan options, and their mulligatawny soup, hummus, and butter chicken dishes are some of the best in Hampton Roads. If you’re looking for casual American fare, try dinner and a movie at Cinema Cafe. You do not have to purchase food to watch a movie there, but movies and food go so well together, so why not? As springtime peaks over the clouds, outdoor adventures once again light up our to-do lists, especially after eating all that food! If you find yourself driving through Kempsville, take a turn off of Princess Anne Road and drive to the back of Carolanne Farms neighborhood. You will find a hidden grove nestled quietly off Gainsborough Road, with a trail that starts at the street and winds you through a forest’s umbrage to a dock on the Elizabeth River. The trail then wraps around a small pool known as Turtle Lake, taking you over a small dam that separates the lake from the river. The site, also known as the “Elizabeth River Water Trail Access” or “Elizabeth River at Carolanne Farms,” is a mixture of paved and unpaved trails, marshland, grasses, and forests, with a wooden dock and boat launch ramps that provide public access to the Elizabeth River. It is ideal for hiking and picnicking, and is a quiet respite amidst the bustling suburbs. Across the Elizabeth River from Turtle Lake Trail, on the opposite side of Kempsville, you will find Woodstock Park on Providence Road. Woodstock provides many standard city park amenities, such as basketball courts, picnic areas, a dog park, playground, and walking trails. However, Woodstock also includes a 10,400 square foot skate park (helmets required!) equipped with a five-foot tall quarter pipe, stairs, hubba ledges, radial ledges, vert wall, handrails, and other structures. There is also a 3,200 square foot green space within the skate park and bleachers for those who would like to sit and watch the fun. If you’re looking for a different kind of sport, Kempsville is also home to America’s largest pool hall. That’s right, the most pool tables under one roof in America is in Kempsville, Virginia Beach. Touting a family-friendly atmosphere, Q-Master Billiards has a restaurant, full bar, bleacher seating for tournaments, is available for events and parties, and also hosts the U.S. Open 9-Ball Championship. You can get a free hour of pool if you buy lunch there, which is a great deal. So whether you are a professional pool player, looking for a place to have a drink and shoot a casual game, or want to try something different with the family, Q-Master Billiards is an internationally renowned local business right in our back yard. Check it out. While driving down Interstate-264, you may have noticed those 175-foot tall poles and netting near the Witchduck Road exit. That is the safety webbing of TopGolf, a relatively new entertainment facility that combines food, drink, driving ranges, lounges, games, and sports bars. You can rent your own room by the hour and spend your time driving golf balls into their 240-yard field, having a drink eating with friends, lounging, or checking out the sights.. The golf balls are microchipped and paired to the golfer, which allows for fun competitions, as well as accurate scoring and distance measurements. 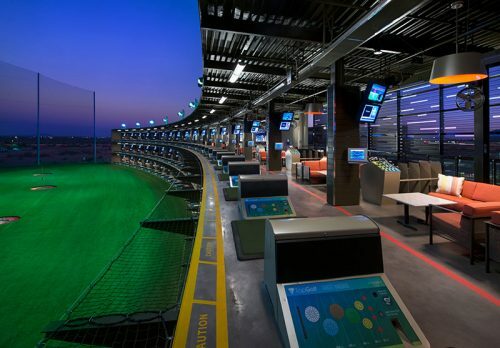 You don’t need to be a professional golfer to enjoy TopGolf, nor do you need your own clubs. For music lovers, Birdland Music is one of the region’s epicenters of vinyl records and compact discs. Owner Barry Friedman has run Birdland Music in Kempsville for decades, and has an encyclopedic knowledge of almost every type of music. With a resurgence in vinyl production over the past few years, Birdland Music is a great place to find exactly what you need and maybe learn a thing or two from people who have lived the music. After all that food, drinking, walking, playing, sporting, and music, taking in some art would be a great way to settle the soul and balance the mind. 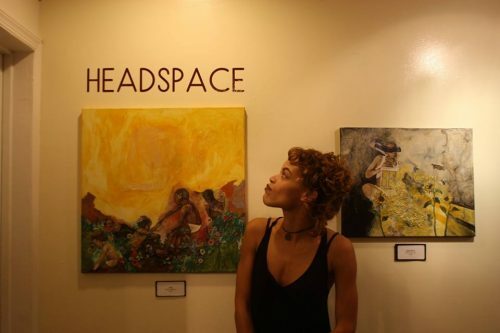 Utopia Feni is a creative gallery-studio space that hosts art shows, classes, events, fosters gardens, and provides an environment for creatives in the area. Opened by Raeesah Islam in 2015, Utopia Feni also produces creative candles, bags, and notebooks to raise money for a high school arts program in Feni, Bangladesh, which is the namesake of her gallery-studio and the village where her father lives. Find out about their events and products online and visit their studio if you’d like to support their cause. The future of Kempsville is bright, with major construction planned around the “Historic Kempsville” section near the intersection of Kempsville and Princess Anne Roads, as well as the slated completion of a much-anticipated $38 million recreation center near Kempsvile Middle School. The Elizabeth River Greenway, part of Virginia Beach’s efforts to increase public access to the river’s canals and tributaries, has received federal funding and is progressing towards its goal of responsible and effective utilization of the environment for its residents. The Kempsville area has a lot to be excited about; good food, a strong history, art, entertainment, and a lot of green spaces. If you don’t live in Kempsville, be sure to pay it a visit sometime. There’s more to do here than you may think.